HBOIs parkour possible with multiple stab wounds to the abdomen? There are two more episodes until “Game of Thrones'” sixth season wraps up, and some viewers are less than impressed. Over the course of this season, fans have taken to Reddit to discuss its quality of writing — all of its hits and misses. One of the earliest disappointments was the handling of the Dorne plot. 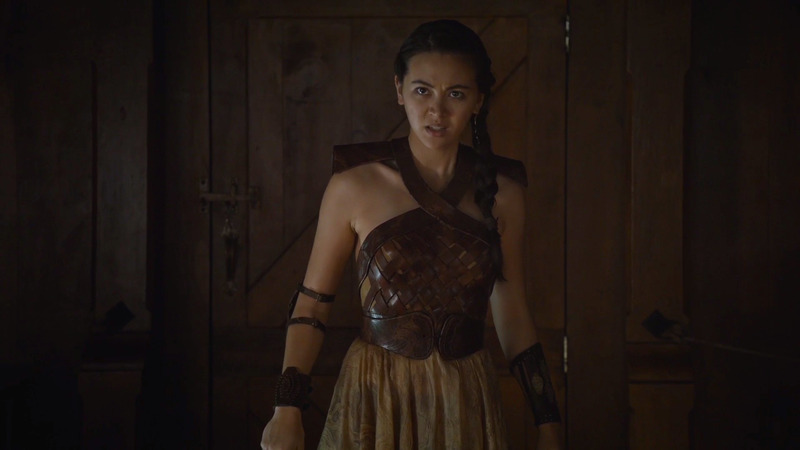 We haven’t seen Ellaria and the Sand Snakes since episode one, after they slaughtered Doran Martell, his son Trystane, and his loyal bodyguard Areo Hotah all in less than four minutes. Fans pointed out plot holes in the last episode, when two of the Sand Snakes make their way to King’s Landing to kill Trystane. They had watched from the Dornish docks as the boats shipped off, so how did they sneak away and set sail undetected so quickly? Fans were also dissatisfied with Areo’s death. The incredible warrior had no time to show off his battle skills. Fans feel that character development was stunted in the Dorne plot line, and that the future of Dorne still remains unclear. While the show has always diverged from the books, this particular part left readers angry. “Why even include [Doran] in the show if you’re going to butcher his entire story line? Dorne is such a train wreck,” one Reddit user said. But that’s not the only writing viewers have criticised. 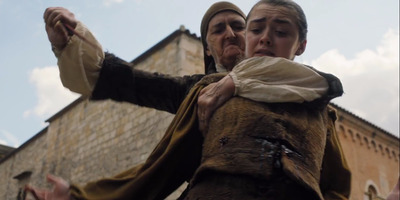 The eighth episode ended with Arya Stark reclaiming her identity, which thrilled viewers, but the events leading up to Arya’s growth have been a sore topic for some. Arya sailed to Braavos at the end of season four and has been training at the House of Black and White since season five. She’s cleaned corpses, has used the Hall of Faces, learned how to sneakily kill people, and underwent extreme fight training with the waif. Finally, in episode seven of season six, Arya decides to go home, but as she’s preparing to leave she lets her guard down and is stabbed in the abdomen multiple times by the waif. Fans on Reddit believe that this was a serious character flaw. Arya is a smart and wary character, and to leave herself open to attack felt forced. So did her escape through the city, which would have made even more sense if she hadn’t suffered life-threatening wounds. Men have died for less. Comment from discussion [Main Spoilers] Megathread Discussion: Quality of Writing. Mark Mylod, the episode’s director, told Tech Insider that he wanted to show that Arya has faults. Still, there are other ways to show her faults. Regardless, Arya is finally going home, and it’s been a long time coming. Brynden Tully, the Blackfish, returned after a three-season absence to face off against Jaime for control of Riverrun, the Tully’s home. 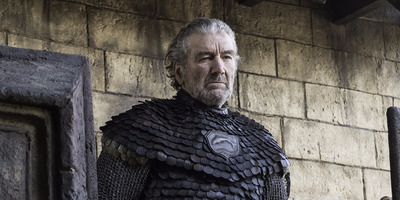 He is as heroic and stubborn as ever, refusing to give in to Jaime’s demands. An episode later, Brienne and Pod arrive to try and convince the Blackfish and his Tully army to fight with Sansa in the north. The Blackfish still refuses to give up his castle, but when Jaime lets Edmure, the proper Lord of Riverrun approach, his army surrenders. The Blackfish helps Brienne and Pod escape, but decides to stay back and fight against the Lannister men alone. He dies off-screen in an anti-climatic ending. This is another divergence from the books. 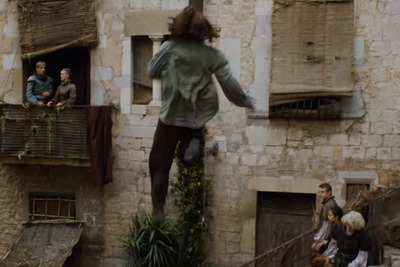 Edmure gives up the castle but helps the Blackfish escape. We last see him swimming away as the Lannister forces fail to find him. Mylod told Tech Insider that he agreed with the writer’s decision to kill the Blackfish off-screen.